Without a doubt, there is much more to endear you to this breed than their cute face. Described as an alert, active, independent, friendly breed, these little dogs are true to their terrier heritage. Coat Type: Double Coat: The outer coat is hard and straight, and the inner coat is soft; Curliness or silkiness is considered faults in the breed standard. I remembered the first time I encountered a Westie many years ago. It was a time when I was serving as a vet tech to a local veterinarian. Working for a very small practice, I got to know all the dogs that walked through the doors. But the Westie I met so many years ago, never walked through the door, rather, he bound through dragging his unsuspecting new owner behind. Trying to dodge any obstacle in his path, he made his way to the reception desk where I stood and literally tried to scale all 3 feet of it to get to me. I immediately thought, Wow, there’s some energy, waiting to be harnessed! Of course, I was thrilled and surprised because most dogs drag their owners in the opposite direction when they encounter a vet clinic. What I later learned was that the West Highland white terrier makes a great hunter, though few people use them to hunt these days. Rather, people love them because well; they are just plain FUN. These dogs are self-confident and somewhat independent making them an ideal choice for someone who doesn’t want a really “needy” dog, but they are loyal and build close bonds with their favorite humans. As terriers go, they are highly social, happy and friendly. If you think you’d like to participate in a dog sport, the West Highland White Terrier may be just right. They do well in earthdog trials, agility, obedience and flyball. Do you need a good name for a White Dog? Want a Scottish Dog Name for Your Westie? After that, Malcolm decided to breed only white dogs so they could be seen and recognized during a hunt. These dogs were called "Poltalloch Terriers". The first breed club was set up in 1904 and first recognized by the Kennel Club in 1907. During the same time, the breed, then known as the Rosenearth Terrier was imported into the United States and recognized by the AKC in 1908. 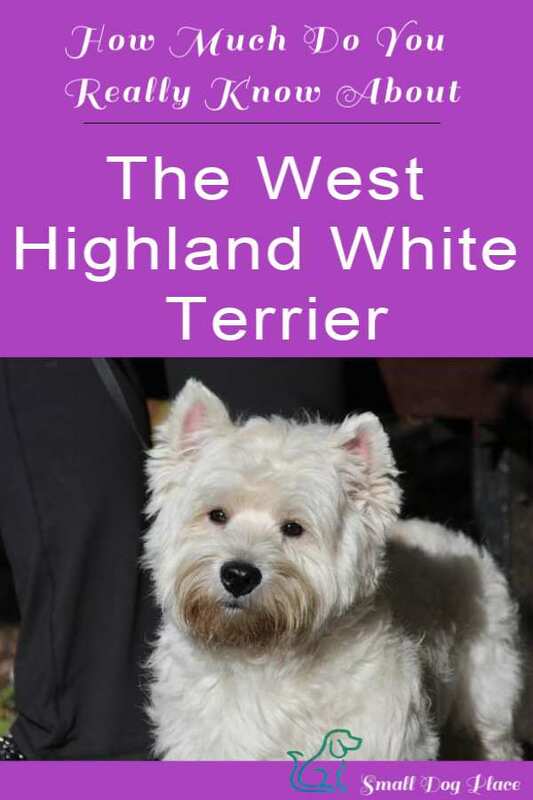 It was renamed the next year to the West Highland white terrier. Over the 20th century, they gained in popularity. 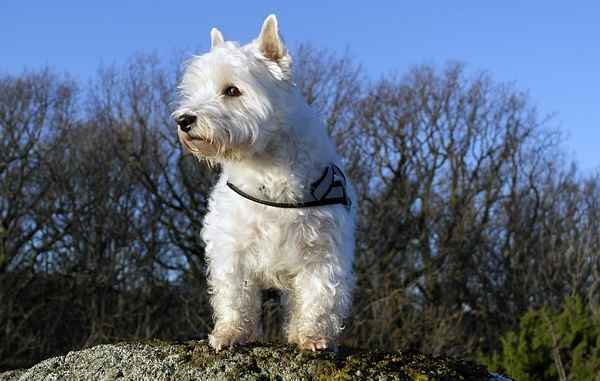 West Highland White Terriers do love to roam and a walk or two each day will help keep meet their curiosity requirements. Basically, they want to be doing what you are doing, so they work very well for active single, couple or family. This breed is much easier to housebreak than other small breed dogs, and they do well with training especially if you use positive reinforcement and rewards. They do have some inbred traits that may be difficult to overcome such as digging and chasing (especially little squirrels and chipmunks), so a fenced in yard is a good idea. Remember, the West Highland White was originally bred to hunt and kill game and vermin in the rugged Scottish Highlands. No fence? No Problem, just keep your Westie safely on a leash when outdoors. Any household pets that might be perceived as prey for the Westie (i.e. hamsters, birds, small guinea pigs) will not survive in the same home as a Westie. 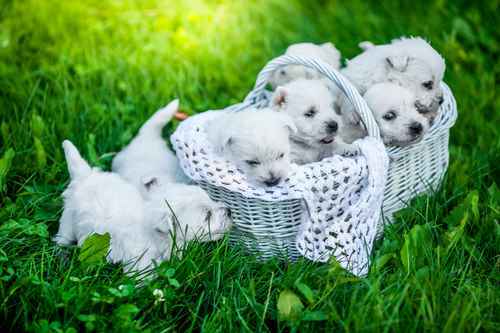 The West Highland White Terrier was traditionally bred for catching vermin so it’s not surprising that they have a high “prey, drive,”as a result. Breeds with high prey drives enjoy tossing and retrieving games, but the object of the game should be a ball or a Frisbee, not a live animal. They are not a “yappy” dog, but they will announce visitors with a bark or two, so they do make good watch dogs. They are smart, curious and will become bored easily if not given enough stimulation. If you’re looking for a lap dog, this may not be the breed for you. Some West Highland White Terriers have been known to be excellent lap dogs, but the vast majority are just to independent, inquisitive and active to spend their day warming your lap. 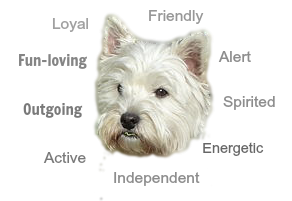 Like all dogs, Westies are prone to certain problems many of which are genetic in nature. Although the list seems long, it doesn’t mean that one dog will ever suffer from any of them. Legg-Calvé-Perthes Disease is a condition involving the hip joints. Dry eye is a condition of the eye where there is inadequate tear production. Artificial tears may be necessary. Addison’s disease: This is a rare disease which is also known as Hypoadrenocorticism. It is characterized by a deficient production of glucocorticoids that lead to symptoms such as weakness, low blood pressure, blood in feces, weight loss and dehydration. White shaker dog syndrome (or idiopathic steroid responsive shaker syndrome) is a condition that occurs in small white dogs including the Westie and results in body tremors that can lead to seizures and difficulty walking. Pulmonary fibrosis occurs when scar tissue replace normal lung tissue making it eventually difficult to breath. Juvenile cataracts: Cataracts are changes that occur in the eye that lead to opacity of the lens. They normally occur in senior dogs, but some breeds including this one may develop them as early as six months of age. It is an autosomal recessive disease, meaning that both mother and father must be a carrier to pass on the defect to their offspring. Some animals live with the disease throughout their lives but if the dog cannot eat and seems to be in pain, euthanasia may be the only option. At first glance, you might decide that a white dog is out of the question because they would need much grooming to keep their coat glowingly white. Not so. The West Highland White Terrier has a double coat with an inner coat being soft, and the outer coat being harsh. Puppies have one coat—the outer coat and the soft inner coat will not grow in until about a year old. Grooming a show Westie is very involved but for the pet, grooming is less intense. A good brushing with a slicker brush followed by combing with a greyhound comb takes care of any snarls and keeps hair smooth. In addition, their outer coat tends to prevent dirt from remaining on the dog. Even mud can be brushed off after it dries. If that Show Dog appearance is what you love, learning to hand strip the coat is a must and usually the best way to learn this is through the breeder or groomer familiar with this technique. 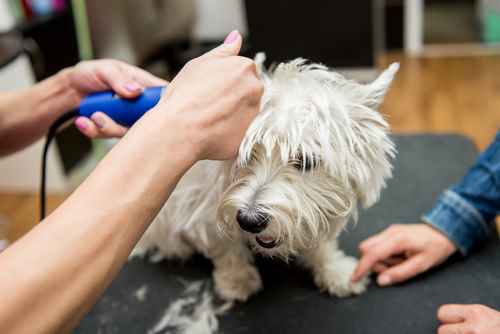 If cost is a factor and grooming your Westie at home is a real alternative. The cost of Professional clippers is about the same as a couple of professional grooming visits and well worth the investment. Bathing about one per month is usually sufficient as most Westie’s coats tend to repel dirt. Some owners will use corn starch on the coat sprinkling it on, fluffing out the hair and then brushing. This keeps the coat clean and odor free. Other grooming tasks that should be performed include brushing the teeth, clipping the nails, or grinding them down, and trimming any hairs from between the foot pads. Westies do shed, but not as much as you might think. Brushing weekly will help with this. A Westie is an excellent choice for novice or experienced dog owners. They do well with singles, couples, and families. Their playful and comical nature make them an ideal companion for children, and older retirees love the idea of having a ready source of entertainment. If these dogs are walked regularly, they can make good apartment dogs, but barking may be a problem so that will need to be taken into consideration. They do equally well in family homes and rural settings. A fence will help keep your dog safe while playing outdoors. He does well with other dogs especially if all dogs in the household have been fixed. Normally cats are not a problem if they have grown up together, but chasing the cat can be an issue. We don't recommend mixing Westies with small pocket pets due to their ratting and chasing instincts. 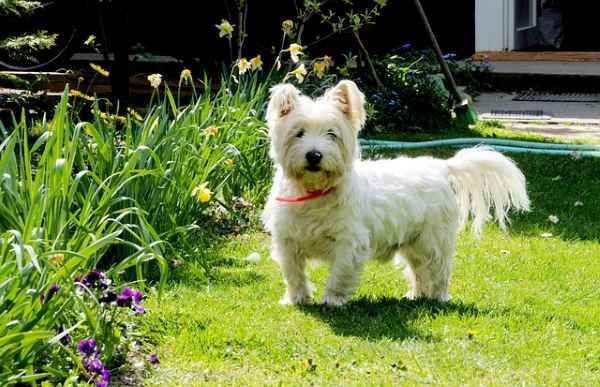 Your Westie will benefit from a once or twice daily walk or a romp in the yard. Due to their innate nature to chase anything that movies, your West Highland White Terrier should not be trusted of a leash when outdoors. A securely fenced area is ideal for rigorous play and exercise and will appreciate and enjoy a game of fetch with his favorite human. If you are included towards doggie sports, this breed does extremely well in obedience, rally and agility and are naturals at earthdog events. This breed is highly intelligent may have an adverse effect on training. They are independent and confident, typical characteristics of terrier breeds. They learn quickly, but many have a very short attention span making long training sessions nearly impossible. Training can be accomplished through patient positive short training sessions. New owners should expect to have a well trained dog as long as they are consistent and stick with the program. Housebreaking is a bit easier with this breed than with other small breed dogs. Start from day one to establish a house training schedule and reward for good behavior. Socialization is very important with this breed so don't neglect this very important early activity. Since barking can be a problem for some Westies, teaching them to curb their impulses will make life much easier for everyone. These dogs do well on a high quality dog food that is either dry, canned, frozen or raw. Kibble can be provided twice a day after the dog turns 6 months of age. Before then, meals served three times a day are a good rule of thumb. Depending on the size of the dog, they will eat anywhere between 1/2 to 1 1/2 cups per day. Very active dogs may need a little more. Check out Evaluating dog food by learning to read labels for more information on how to choose a high quality food. Also, see our guidelines on feeding a puppy or feeding an adult dog. Snacks can be given in moderation. Both vegetables and fruits make healthy treats but don't over do as you don't want to end up with an overweight dog. How Much Does a Westie Cost? 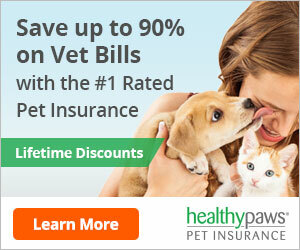 Most dog adoptions cost approximately $250 to $350 in the U.S. for an adult dog. Senior dogs can be adopted for lower costs and puppies may be a bit higher. To purchase a Westie from a reputable breeder, expect to pay around $1000. Westie on the Black & White Whiskey label? The more you know about the breed you are considering, the better pet parent you will be. 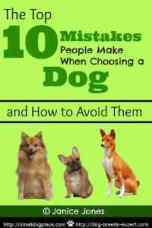 We always recommend purchasing a book or two so you will know and understand your breed thoroughly.